It's hard to believe that it's already time to to think about Christmas! Last year I vowed to shop local and that I did. It was a challenge and it involved a lot of thought and effort, but I couldn't have been happier on Christmas morning when everyone I love was unwrapping gifts made by or sold by the local makers and shakers in Ottawa. With that in mind, this year I'm bringing you the #supportlocal613 gift guides! Keep an eye here over the next 4 weeks as I bring you the inside scoop on where to get the best gifts in the city, and even give you some ideas to put on your own wishlist! I mean it when I say these people are hustlers. Consider supporting local this holiday, regardless of where you are in the world If everyone in Ottawa spent $10 locally this holiday, that would put 9 million dollars back into the community. Let that sink in for a second! Consider ditching the big box stores this holiday and spend time supporting the local makers wherever you are. In Ottawa alone there are a handful of carefully curated Christmas markets to check out over the next few weeks. Here is a really great list put together by Freewheeling Craft of all the markets around the city leading up to Christmas! Without further ado, here is my list of health and beauty products for you! The couple behind this company are the sweetest! I was first introduced to Stoutheart last Christmas when I purchased the shave soap for my dad and boyfriend. I don't have a beard so I had to take their word for it that the shave soap is amazing. Since I was sourcing my opinion for two of the most prominent men in my life, I'll believe them! Andrew has a beard and is a big fan of beard oil! As the winter months creep upon us *groan* it's time to start to start thinking about how to keep your skin hydrated. 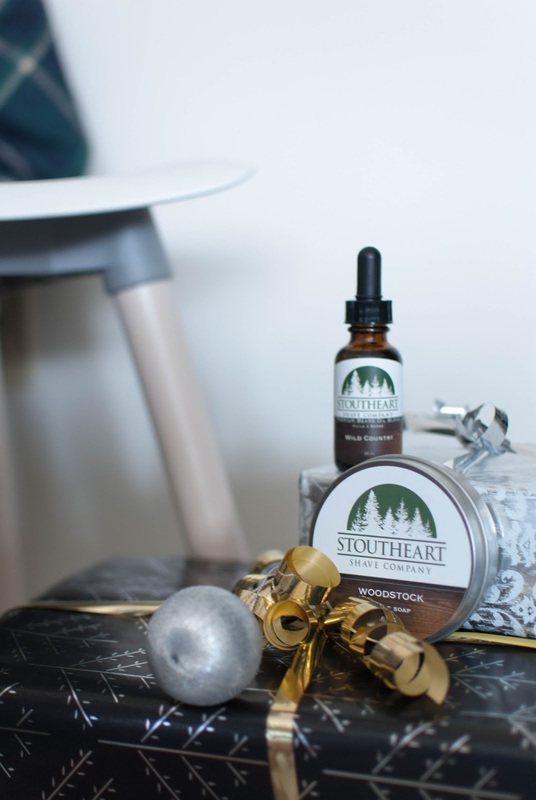 Stoutheart's beard oils host a blend of hemp seed oil, apricot oil, grapeseed oil, gold jojoba oil, castor oil and essential oils. Sounds like a recipe for one heck of a soft beard if you ask me! 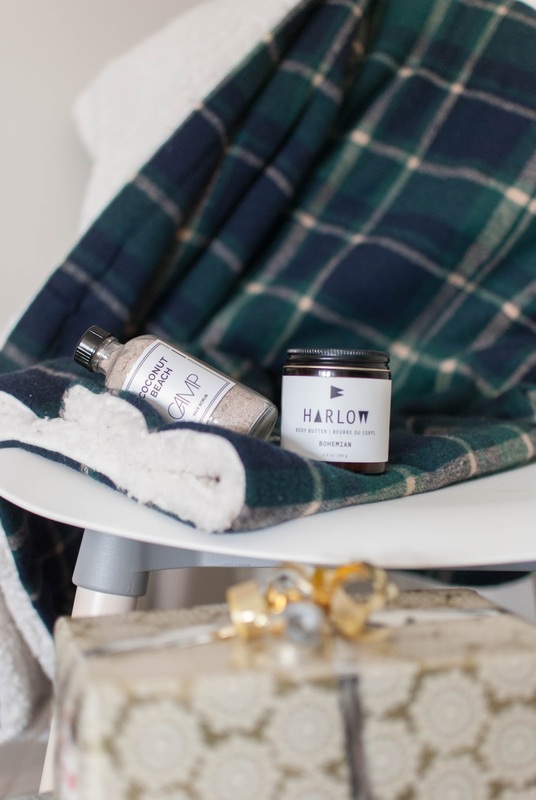 While all the shave soaps smell divine (trust me, they are heavenly! ), my favourite is tobacco fields. It has hints of leather and black pepper, mixed with a very smooth green tobacco leaf. Yes, please! Just in time for the holidays, Stoutheart will be selling these beautiful handmade shaving tools. 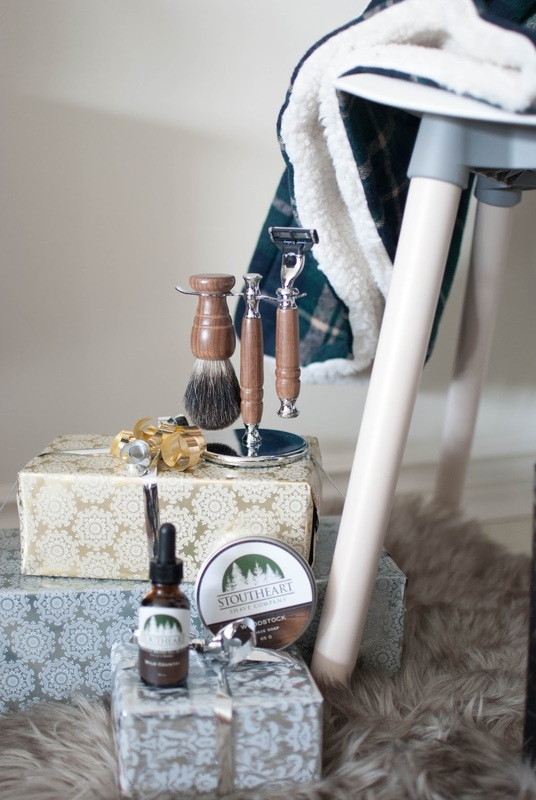 The tools are custom made brushes and razor with a gorgeous wooden stand. These tools aren't only practical, but a luxurious addition to any bathroom counter. Their tools are in partnership with another Ottawa business, Stem Design Labs. I love when makers share the local love! or shop on their website here! Who doesn't love to unwrap a handmade scrub in a heavenly scent over the holidays? The winter chill is just setting in and everyone is looking for a way to keep the relaxing vibe of the season going (OK, maybe the holidays aren't relaxing for all - looking at you, Mom! Thanks or running around like crazy to get everything ready!) If your Mom, sister, aunt, grandmother, is anything like my Mom, the holidays are nuts! I love to gift her something that will encourage her to take some time for herself and unwind from the hustle and bustle of the season. This is where Scrub Inspired comes in! A small, growing business in Ottawa and Cape Breton, two young entrepreneurs fuel Scrub's business by hand-making all natural scrubs using only the finest natural ingredients. All scrubs are made fresh to order, and are free of parabens, SLS, chemicals, and anything artificial. The smell of the scrubs is intoxicating. The Oatmeal Coffee is a deep, rich scent that would put anyone into total-relaxation-mode with one sniff! Although I'd be happy unwrapping any of these scrubs on December 25th, I have to say that the Simply Mint scrub would be incredible *hint hint. * Tingly and minty fresh, this is the perfect way to wake up your skin. 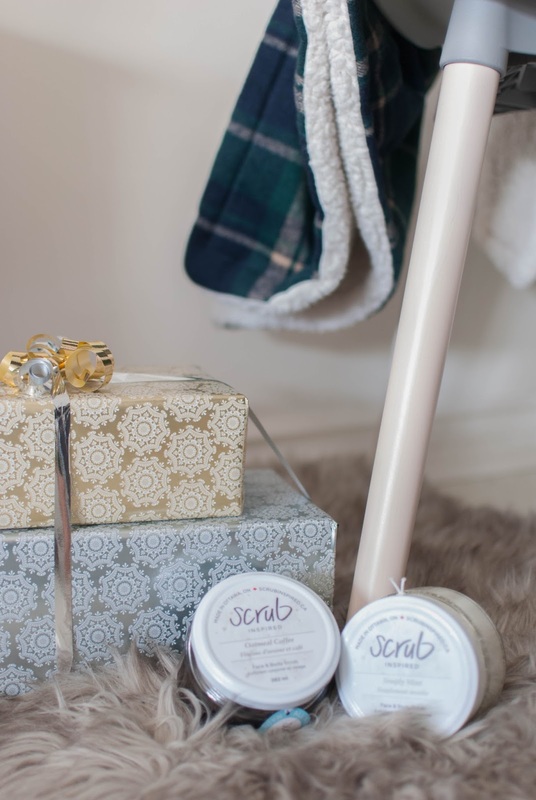 Scrub's products don't stop at body scrubs - they also offer lip scrubs at a reasonable price point ($6), bath salts (from $5 and up) and gift sets (all your holiday shopping done in one pretty basket!) ranging anywhere from $15-$48. I'm a big supporter of Indie Apothecary and what they stand for. Indie is a great example of one of this city's shakers. With a full catalog of absolutely luxurious face, skincare and body products, and gifts, there is something for every beauty lover, or beauty lover to-be! It's nice to treat someone to a high-end product that they may not purchase for themselves. With a wealth of products to choose from on their site, it's hard to narrow down favourites. Special mention goes to Artifact. 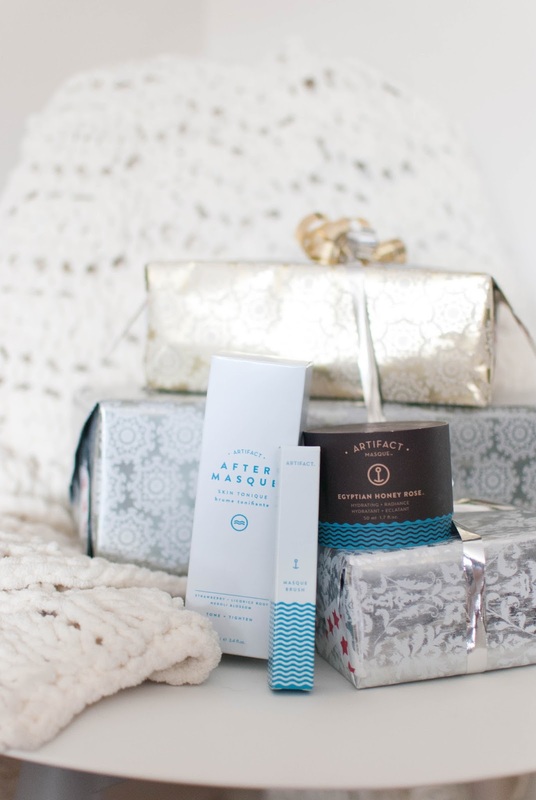 These products would make the perfect gift set for anyone who needs a little TLC. The Egyptian Honey Rose Face Masque, After Masque Face Tonic and Masque Brush (to keep your hands clean!) are ideal to unwrap Christmas morning. Indie offers a wide range of products for men and women! Not sure where to start? They also curate incredible gift boxes for men or women! Scrubs, candles, body butters...what more could you want! or shop their website here! While this isn't an exhaustive list of the talent in Ottawa, this is a place to start. I'd recommend checking out the Christmas craft markets around Ottawa over the next few weeks. Freewheeling Craft has put together a great list that highlights where and when. Are health and beauty products on your 'to buy' list this Christmas? I'd love to hear if you make it out to any of the markets or support any of the local makers and shakers this holiday! Remember, if everyone in Ottawa spent $10 this holiday, that would feed $9 million back into our community. That would be a Christmas miracle! fantastic roundup! I'll definitely need to get my hands on some of that shave soap for the hubs!